(2005): LLM, New York University, New York City, USA (2005). Hauser Scholar. James Cockayne is Director of the Centre for Policy Research and represents United Nations University at the UN in New York and in the UN’s High-Level Committee on Programmes and the Frontier Issues Reference Group. 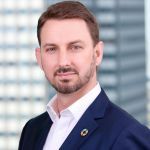 He additionally serves as Project Director for Delta 8.7 – The Alliance 8.7 Knowledge Platform; Head of Secretariat for the Liechtenstein Initiative for a Financial Sector Commission on Modern Slavery and Human Trafficking. He is also developing new programming on the impact of Artificial Intelligence on international relations. A recognized global authority on the UN and on organized crime and its role in politics, Dr Cockayne has over 20 years’ experience in the public, private and research sectors. He is a leading commentator on innovation in global governance, the role of evidence in public policy, on multi-stakeholder efforts to protect human rights in fields from modern slavery to private security. Dr Cockayne regularly called upon by senior leaders at the UN to provide thought leadership, for example in advising the High Commissioner for Human Rights on privacy in the digital age (2014); in drafting the Code of Ethics that now binds the President of the General Assembly (2016); and in drafting the Secretary-General’s Strategy on New Technologies (2018). Dr Cockayne was previously Head of United Nations University’s Office at the United Nations in New York, and led its merger with the Centre for Policy Research in 2018, when he assumed the role of Director. Under his leadership, UNU’s team in New York grew ten-fold between 2013 and 2018. Before joining UNU, Dr Cockayne was Co-Director of the Center on Global Counterterrorism Cooperation, leading their work in New York and Africa, Principal Legal Officer in the Transnational Crime and Extradition Units in the Australian Attorney-General’s Department, and Senior Fellow at the International Peace Institute. He has also worked in legal practice in Sydney, Paris, Arusha (Tanzania) and Freetown (Sierra Leone), and served as Chair of the Editorial Committee of the Journal of International Criminal Justice for several years. Dr Cockayne has also at various times been a consultant and adviser to the UN Secretariat, the World Bank, the Center on Humanitarian Dialogue, International Alert, the Norwegian Peacebuilding Forum, the Conflict Prevention and Peace Forum, the Global Leadership Forum, and numerous governments. Dr Cockayne’s best-known work is Hidden Power: The Strategic Logic of Organized Crime (Oxford University Press, 2016), described by John Ruggie as an ‘extraordinary book’ and Prof Sir Lawrence Freedman as a ‘landmark study’. Other notable publications include: Fairly Clear Risks: Protecting UN sanctions’ legitimacy and effectiveness through fair and clear procedures (2018); Crooked States: How organized crime and corruption will impact governance in 2050 and what states can – and should – do about it now (2017); What Comes After the War on Drugs? (2016, with Summer Walker); Peace Operations and Organized Crime: Enemies or Allies? (Routledge, 2011), edited with Adam Lupel; and “Islam and international humanitarian law: from a clash to a conversation between civilizations”, Int’l Rev. Red Cross (2002). Dr Cockayne earned a doctorate from King’s College London, was a Hauser Scholar at New York University while undertaking his LLM, and holds both an undergraduate and law degree from University of Sydney, where he was also a medallist in Government and Public Administration. Dr Cockayne’s future research interests include artificial intelligence, modern slavery and evidence in global public policy. UN DDR in an Era of Violent Extremism: Is It Fit for Purpose?, ed. Cockayne, James and O&#039,Neil, Siobhan (Online: United Nations University Centre for Policy Research, 2015). Cockayne, James, Preventing Tomorrow's Conflicts: Final Report from a Speaker Series within the context of United Nations discussions on Sustaining Peace Preventing Tomorrow’s Conflicts, New York, 2018/04/18. Cockayne, James and Walker, Summer, Fighting Human Trafficking in Conflict: 10 Ideas for Action by the United Nations Security Council Fighting Human Trafficking in Conflict, New Canaan, 2016/06/30-07/01. Cockayne, James, Gleason, Kelly A., Diego-Rossell, Pablo, Stewart, Shannon, Gauer Bermudez, Laura, Joudo Larsen, Jacqueline and Silverman, Bernard W (2019). Symposium: Modelling Modern Slavery Risk. United Nations University. Cockayne, James, Brubaker, Rebecca and Jayakody, Nadeshda (2018). Fairly Clear Risks: Protecting UN sanctions’ legitimacy and effectiveness through fair and clear procedures. United Nations University. Cockayne, James and Roth, Amanda (2017). Crooked States: How organized crime and corruption will impact governance in 2050 and what states can – and should – do about it now. United Nations University. Cockayne, James, de Boer, John and Bosetti, Louise (2017). Going Straight: Criminal Spoilers, Gang Truces and Negotiated Transitions to Lawful Order. Crime-Conflict Nexus Series. United Nations University Centre for Policy Research. Bosetti, Louise, Cockayne, James and de Boer, John (2016). Crime-Proofing Conflict Prevention, Management, and Peacebuilding: A Review of Emerging Good Practice. United Nations University Centre for Policy Research. (2015). UN DDR in an Era of Violent Extremism: Is It Fit for Purpose?. United Nations University Centre for Policy Research. Cockayne, James and Dowds, Talitha (2015). Safeguarding the World’s Trust. United Nations University Centre for Policy Research. Walker, Summer and Cockayne, James (2015). Concept Note: Identifying Common Ground on Development for UNGASS 2016. United Nations University. Walker, Summer and Cockayne, James (2015). Concept Note: Identifying Common Ground on Criminal Justice for UNGASS 2016. United Nations University. Cockayne, James and Panaccione, Kari (2015). Background Paper: Eradicating Modern Slavery: What Role for International Criminal Justice. United Nations University. Cockayne, James and Walker, Summer (2015). What Comes after the War on Drugs – Flexibility, Fragmentation or Principled Pluralism?. United Nations University. Walker, Summer and Cockayne, James (2015). Concept Note for Identifying Common Ground on Public Health. United Nations University. Cockayne, James (2014). The UN Security Council and Organized Criminal Activity: Experiments in International Law Enforcement. United Nations University Working Paper Series. United Nations University.